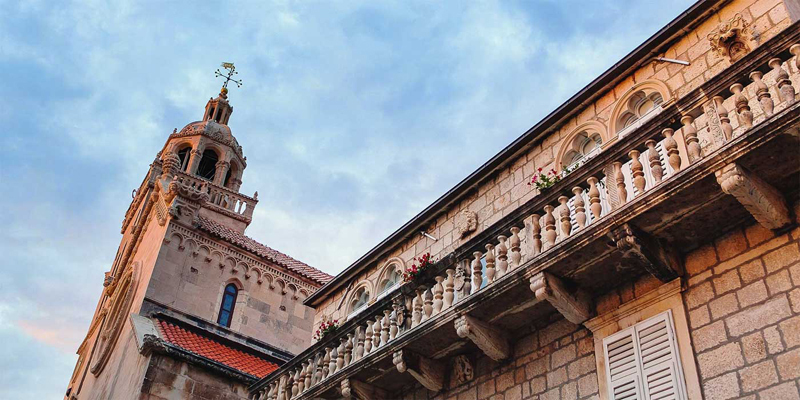 As one of the Mediterranean’s most popular destinations, historic Dubrovnik provides the ideal launch point for exploring the Dalmatian Coast. 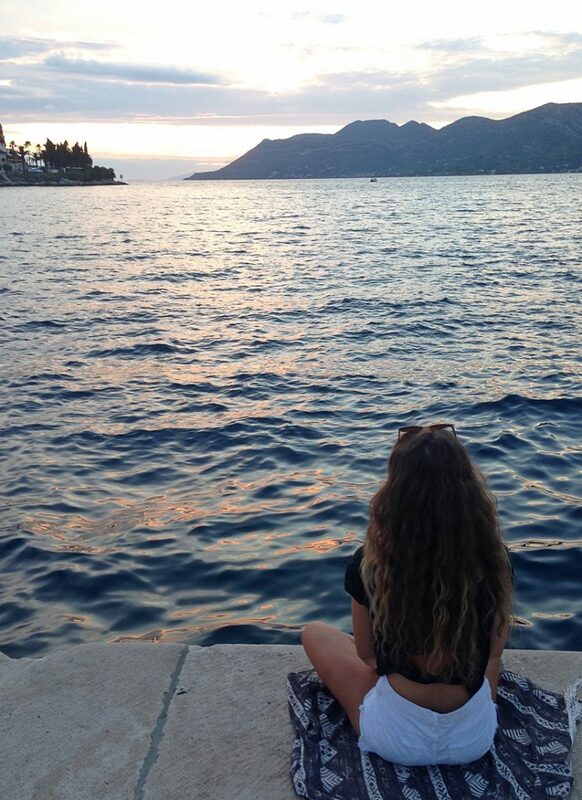 Last summer, Lily Plume did just that, utilising its extensive ferry connections to go island-hopping around Lopud, Korcula, Hvar and beyond. 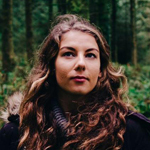 Here, she guides us through these enticing isles. As a UNESCO World Heritage Site with immaculately preserved ancient walls, the “Pearl of the Adriatic” left me nothing short of awe-struck. 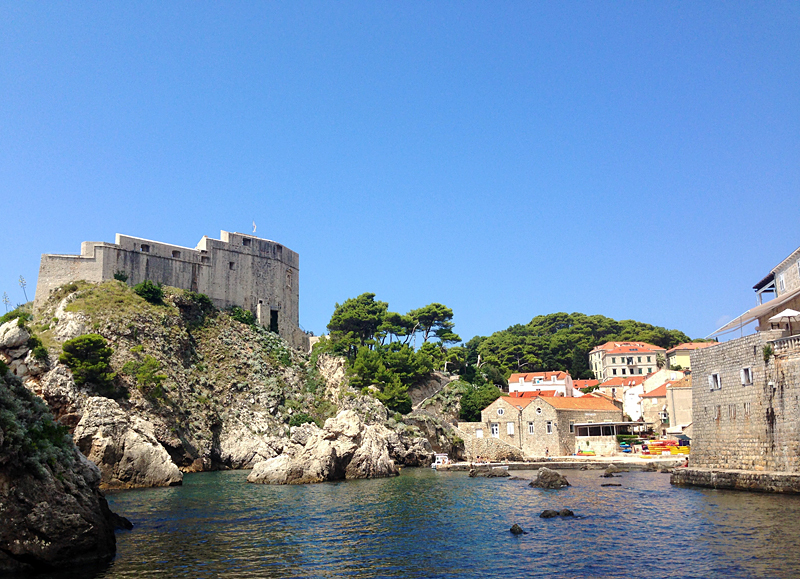 Although it can get very busy during peak season, Dubrovnik is the perfect place to soak up some history and get a taste for life beside the Adriatic. 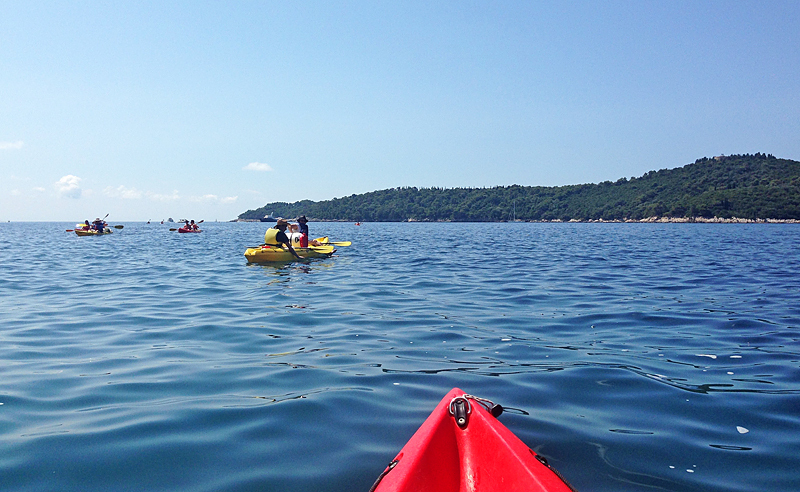 For an adventure beyond the city walls, I joined a kayak tour of the tiny uninhabited isle of Lokrum, just offshore. The island is thought to be cursed by monks who lived in its monastery centuries ago, and our guide recited ancient myths and legends as we paddled around the craggy coastline. 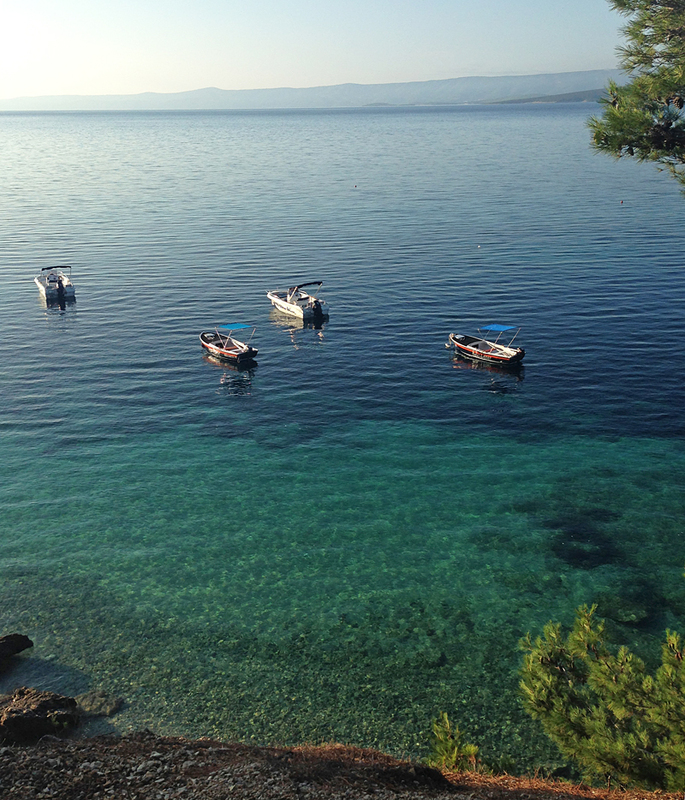 But don’t let superstition deter you; Lokrum boasts an untouched beauty that is both otherworldly and timeless. Spend an afternoon scrambling its rock pools and searching out the old monastery amid the cool pine forest. 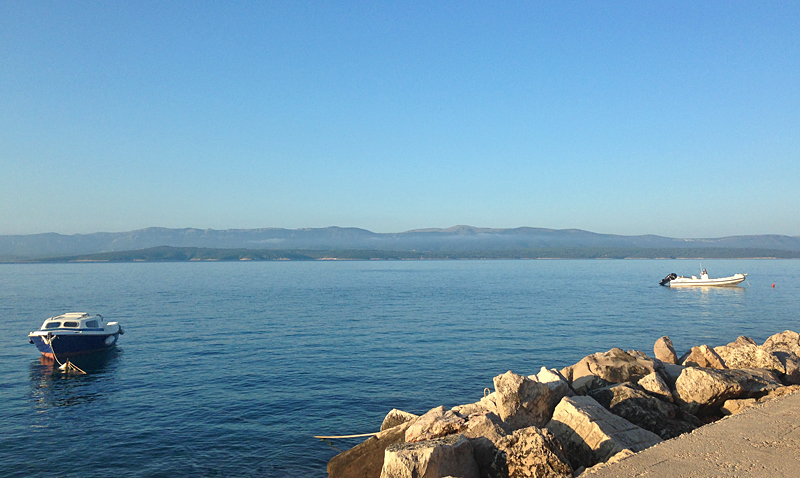 Also nearby are the luscious Elafiti islands, the largest of which is car-free Lopud, home to La Villa. 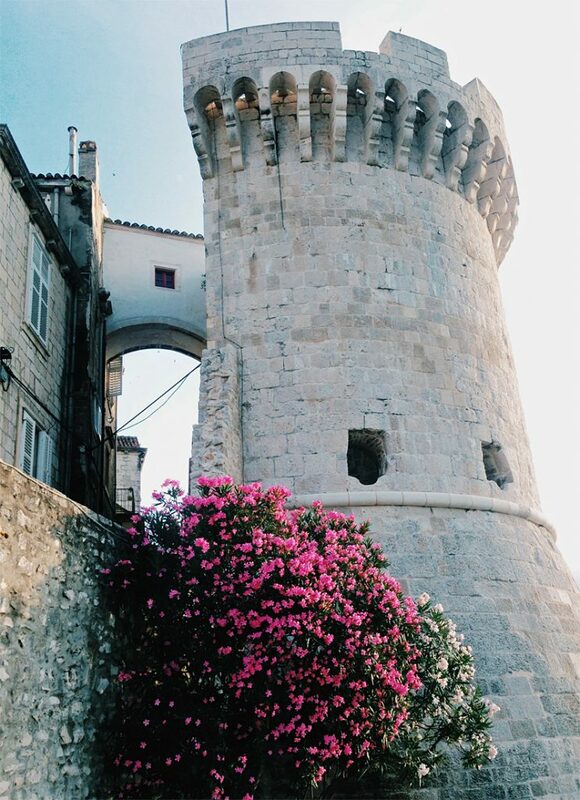 A gorgeous 16th-century stone villa set in smart walled gardens right on the seafront, this welcoming B&B appeals to young professionals seeking a tranquil escape within an hour’s ferry ride of Dubrovnik. 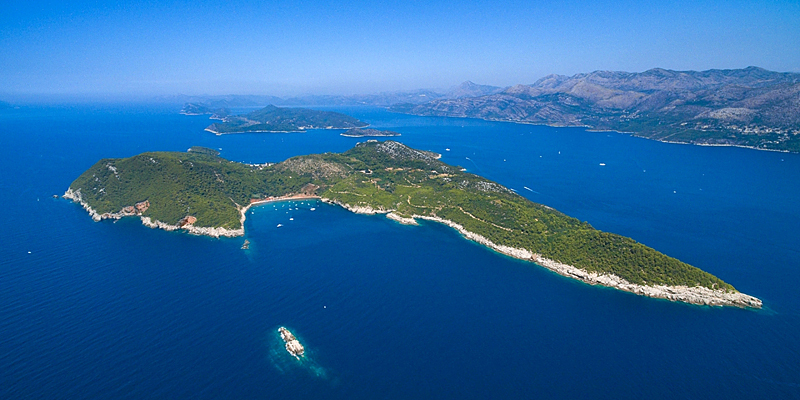 A couple of hours away from Dubrovnik lies the wooded island of Korcula. As I approached the Old Town by sea, the striking walls protecting sun-bleached orange roofs brought to mind the island’s many 17th-century invasions. One result of this tumultuous period is a European fusion of history and culture; from the Italian-esque Dalmatian cuisine to the Venetian and British architecture. 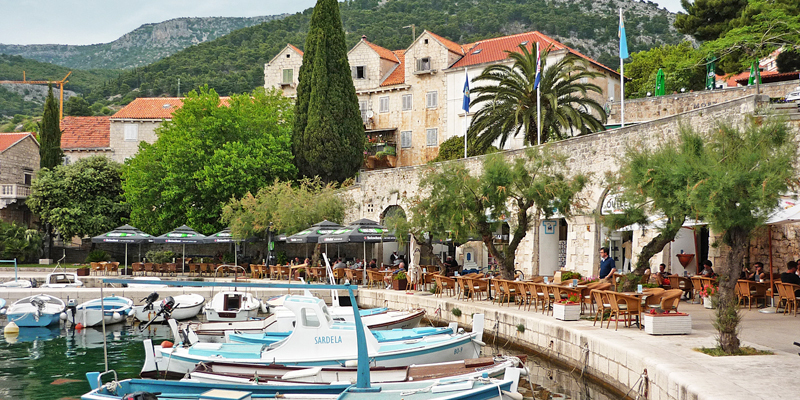 The network of narrow stepped streets, enclosed by medieval forts and limestone towers, are lined with boutiques and restaurants. One night I stumbled upon rooftop Massimo Cocktail Bar, hidden in the turret of Zakerjan Tower. Accessible only by ladder (mind your head on the trap-door) with cocktails brought up by a pulley, it’s best to enjoy the view first and worry about the wobbly descent later. Known for its spectacular views, Maksimilijan Garden was my favourite place to indulge in local cuisine. It’s the best place in town to watch the sunset, with a terrace perched right on the rocks and shaded by a canopy of leaves. 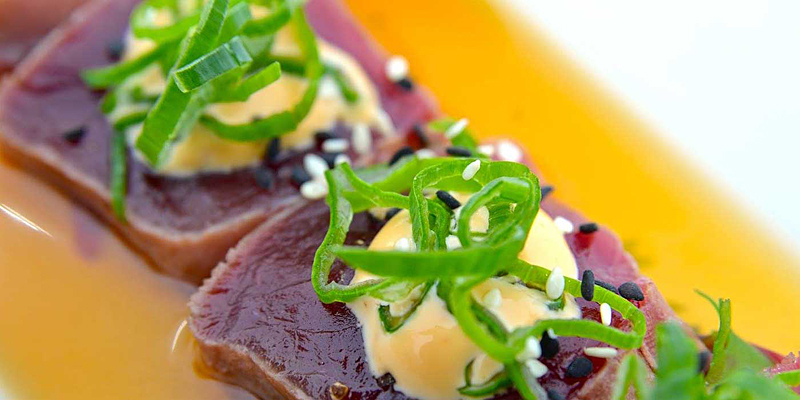 Enjoy fresh fish pulled from the sea below you that day, with a glass of the region’s Posip white wine. 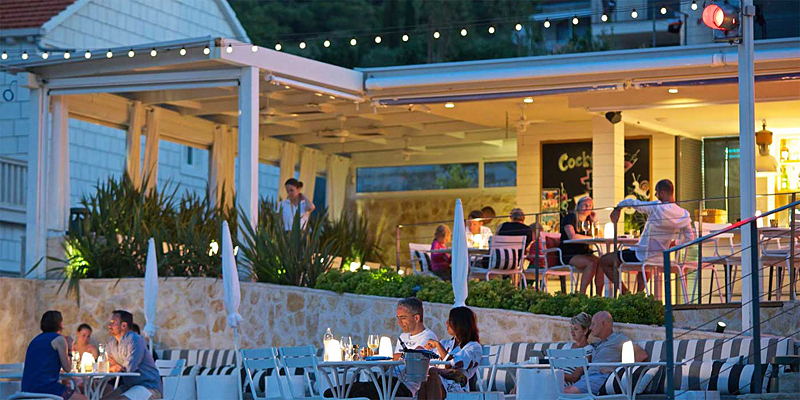 Another great place to enjoy a sundowner is Mimi’s Bistro at nearby hideaway Tara’s Lodge. 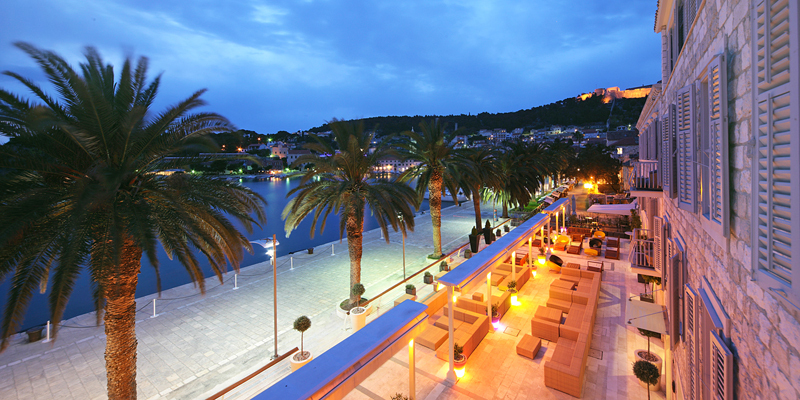 This modern waterside terrace serves exquisite seasonal dishes such as black squid risotto, tuna sashimi and fresh oysters from nearby Ston on Peljesac. 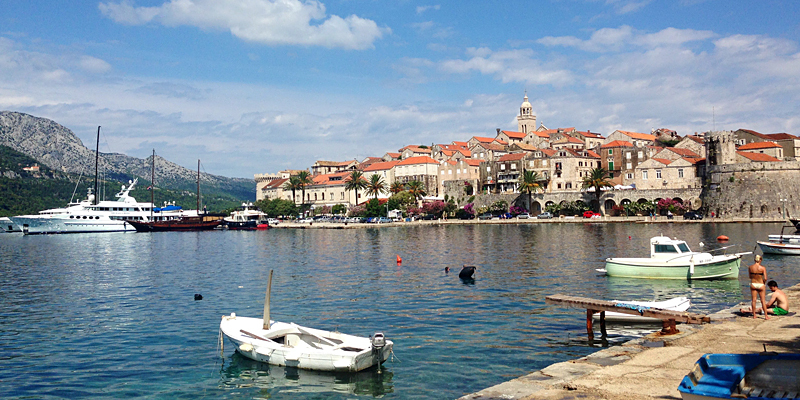 From Korcula I hopped on the ferry to Hvar Town, the party hub of the Adriatic. 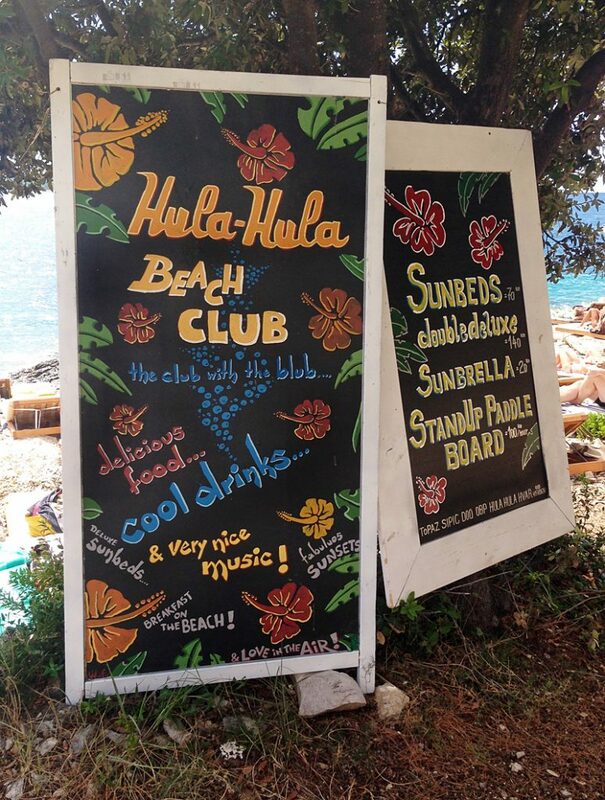 Stepping onto the harbour, I was immediately greeted by the thump and pump of deep house vibrating from Carpe Diem, the island’s favourite beach bar. 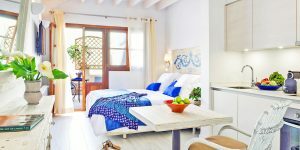 If techno beats aren’t your thing, while away the evenings dipping in and out of the classy cocktail bars and chic boutiques off the main square. My favourite shop to browse in (look but don’t touch) was quite literally a cave of crystals and jewels, owned by a cool Croatian dude who bobbed along to the beat of the music coming from nearby bars. Nearby Sv. Klement Island is home to the bohemian retreat Palmizana. Complete with botanical gardens and two pebble beaches, Professor Eugenio Meneghello’s family have cultivated a true oasis on this tiny island, perfect for flora-loving families and hippies at heart. 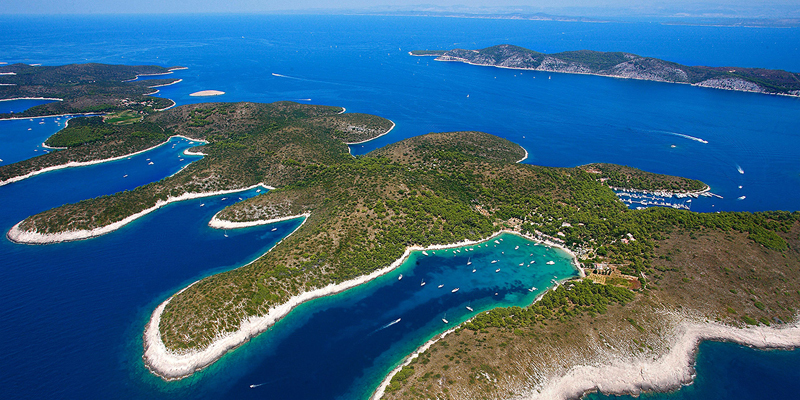 The best of both worlds, it is just a 10-minute boat ride from buzzy Hvar. When I arrived at my next island destination in the rosy light of dawn, the sleepy fishing village of Bol was only just stirring from its slumber. 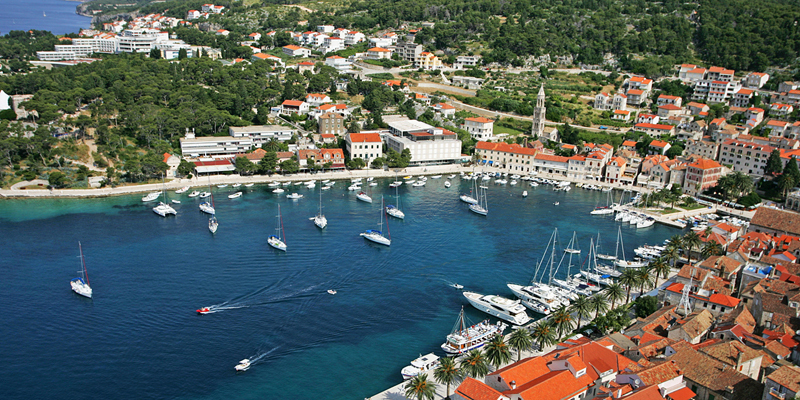 With just a scattering of harbour-front restaurants and bars, all the action takes places further up Brac Island’s coast. 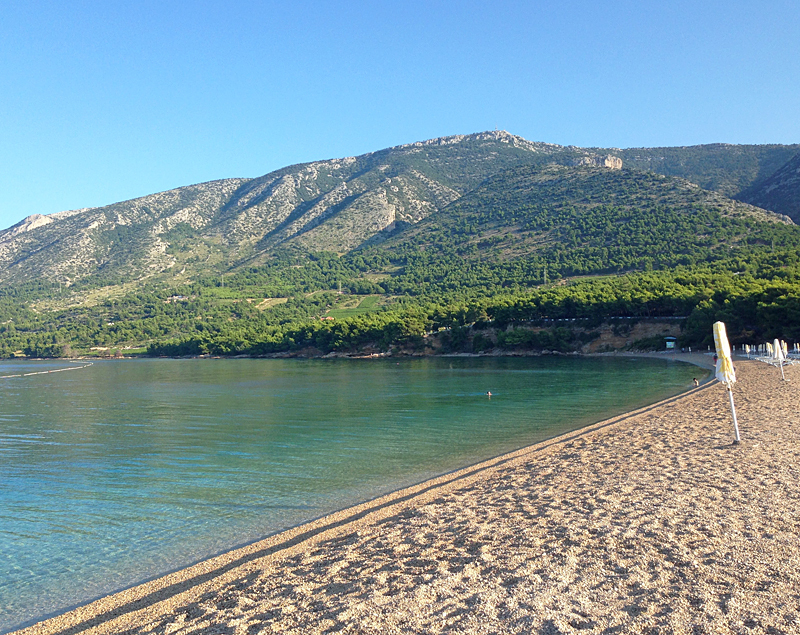 Walking through pine groves, at the end of a long, shaded pathway I found Zlatni Rat, the famous ‘Golden Horn’ spit popular for kite-surfing, windsurfing and stand-up paddle boarding. Having caught the early-morning ferry, I had the stretch all to myself until mid-morning, when the hoard of beach-goers descended. 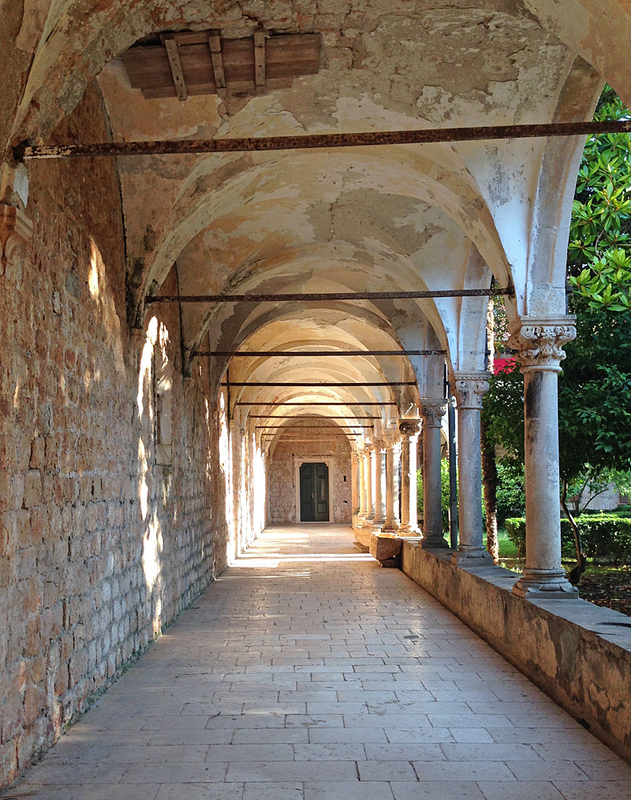 To end my island-hopping journey along the Dalmatian Coast, I returned to the mainland to explore Split’s magnificent Diocletian’s Palace. The Roman ruins are a true spectacle, built in the Middle Ages with marble imported from Greece and Italy, columns from Egypt and polished white stone from nearby Brac. The military fortress serves as a cultural hub for tourists and locals alike, with a maze of shops, bars, restaurants and museums. Dine under the stars and ancient columns at Lvxor Kavana, a restaurant at the heart of the citadel, with live music every night. Ready to go island-hopping? 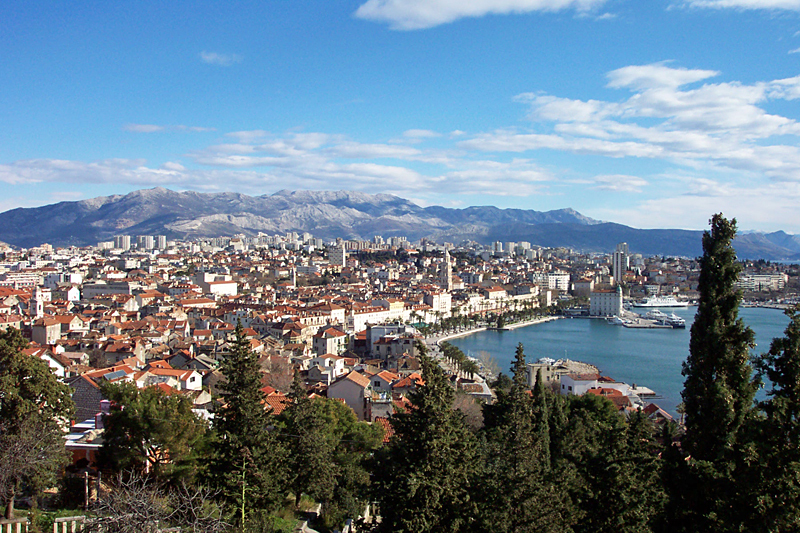 Check out our boutique hotels in Croatia.